The conference system has been able to provide greater opportunities to the East Fremantle umpires where they can learn their craft and hopefully progress through the umpiring pathway. In 2018 the East Fremantle Umpires have 151 umpires on the books highlighting the need to be able to umpire in all facets of the game. 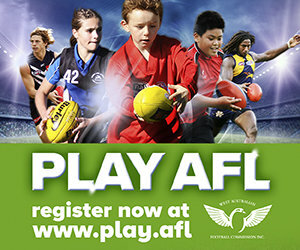 The panel consists of multicultural and umpires of diverse backgrounds, young boys and girls who are new to the game and some older umpires who have been on the panel a number of years. The panel age range from 13 years old to 25 years old. The pathway has seen many sharks progress through the pathway and achieve ultimate success in their relative short umpiring careers. In recent time, shark alumni of Alex Martin, Kyle Sinclair, Ryan Sinclair and Mark Worobec have seen WAFL League Final action. Kyle Sinclair running the last three WAFL League Grand Finals 2015-17 on the boundary with Mark Worobec umpiring the 2016 League decider. Junior Umpire Coaching & Leadership. 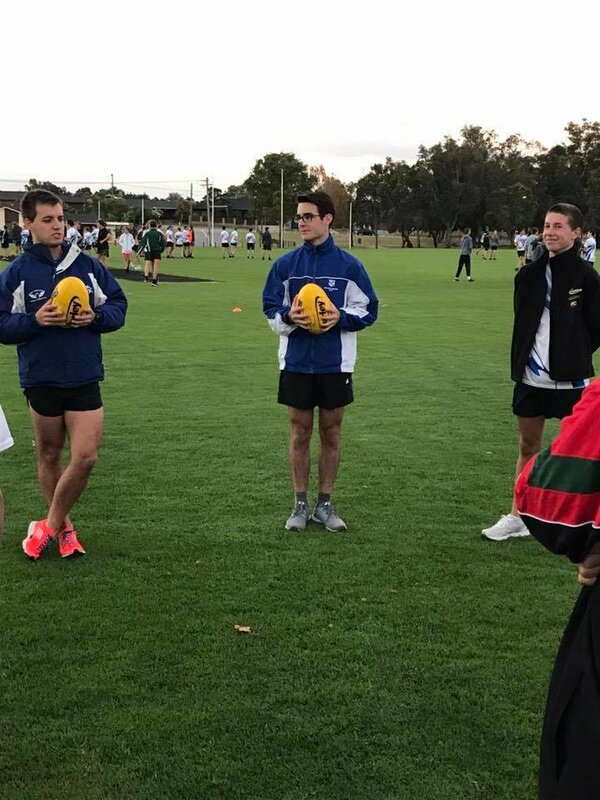 On a junior umpire coaching front future rising stars and current WAFL Colts umpires in the field Josh Antulov, Jack Meotti & Alex Crowhurst continue to impress on the field as well as off the field too. These young men have taken up coaching roles and mentoring the next generation of first year umpires which has been fantastic for the district. These young men have taken the lead from the stellar work of current WAFL Reserves umpire Curt Miller, Alec Moylan who has taken a year away from the rigours of WAFL football and Haris Cooper who relocated to Darwin for work. Coaching our Saturday Squad umpires is David Gaynor who has replaced the long serving Jordie Morgan-Hind. Gaynor has brought enthusiasm to the role and has continued the great work of Morgan-Hind. Our Senior Sunday umpires are coached by Mark Holford who currently does WAFL Reserves whose expertise are greatly appreciated to the umpiring panel. Holford is ably assisted by another rising star in the WAFL in James Wilkinson, both Wilkinson and Holford challenge the group to be better and understand the fundamentals of umpiring. Our boundary umpires are coached by three time WAFL League Grand Final Umpire Kyle Sinclair with our Goal umpires coached by WAFL League Goal Umpire Tiana Fry. We have also had the fortune of using the retired WAFL Umpire Manager/AFL Assistant Coach Darryl Sinclair in a coaching coordinator role. 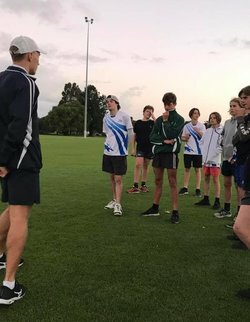 Since retiring in late 2017 Darryl’s expertise and knowledge of umpiring has been utilised with our up and coming coaches ensuring we have a proactive support network for our umpire coaches in the East Fremantle district. Further to this, since the inception of the National AFL Women’s competition our sharks have excelled on the national stage. Tiana Fry and Gabby Simmonds both being on the national panel since its inception and Kyle Sinclair from 2018. Furthermore officiating in the AFL are former sharks Jeff Dalgleish and Luke Farmer (both field umpires) both of which donate the umpiring association with trophies for the end of season awards night and boundary umpires Josh Garrett and the most recent of our shark debutants in the AFL Sean Moylan. Season 2018 has continued the trend of recent seasons with former sharks excelling on their umpiring pathway. This year has seen current East Fremantle Goal Umpires Coach Tiana Fry represent the state at AFL Women’s Under 18 Championships in the goals. Likewise, Jordan Fry and Cameron Jones represented the state in the field at the AFL Under 16 Championships. Finally, Jordan Russell represented the state at the AFL Under 18 Championships on the boundary. This again demonstrating the quality of umpires and people originating from the East Fremantle district. At the community and state levels. Our sharks are doing very well in the umpiring pathway whether it at state level or through community football or being a part of development squads. We have a number of up and coming umpires in the WAFL Development Squad, the names of Conor Mannix, Robert Abrahams and Jack McCarthy will hopefully progress onto the WAFL squad in coming years. Officiating on the boundary in WAFL Colts and Reserves we have Nicholas Veletta, Luke Shaw and Daniel Kempson all applying themselves on the boundary. In WAFL League we have the Sinclair brothers in Ryan and Kyle and Jordan Russell. Waving the flags we have Tiana Fry who has cracked league football in 2018 and a rising star in Luke Caifano. In the field sharks that have reached WAFL League level are McLane Edinger, Jordan Fry, Alex Martin, Curtis Snadden & Mark Worobec. Sharks that have reached WAFL Reserves level are Caillin Gibson, Mark Holford, Cameron Jones, Curt Miller & James Wilkinson. Likewise sharks that have reached WAFL Colts are Josh Antulov, Alex Crowhurst & Jack Meotti. It is a pleasure to have quality umpires but more importantly quality people coming back to their grassroots and providing leadership and mentoring for the next generation of junior umpires. The men and women continue to inspire and mentor the next wave of talent and hopefully can reach their goals in umpiring. It is sensational that these young men and women have bought back into their district and continue to drive the positive culture and standards that are enriched within the East Fremantle District Junior Umpires. The future is bright for the umpires of the East Fremantle District. Written by East Fremantle Umpire Manager Ryan Sinclair.